Spring is by far my favorite season in this little corner of the world. It is a fleeting, magical time as the desert literally explodes with life and color. But it is also the busiest time in my yearly work cycle and I find myself constantly pulled in two directions. It’s a dilemma. While I long to be outdoors witnessing as this seemingly lifeless landscape begins a new cycle of rebirth, I need to be indoors preparing to send yet another crew of wee ones out into that Big Kid world. Thank goodness for Spring Break. Every year I eagerly await this particular little reprieve. It usually provides me a little window of opportunity to get out and watch nature do its beautiful thing. Packing picnics, watching wildflowers, days out with my desert dogs and somewhere in between, a little adventuring with my favorite explorer. These are the standard activities in which I usually engage during my little seasonal respite. This year it’s not quite working out that way for me. 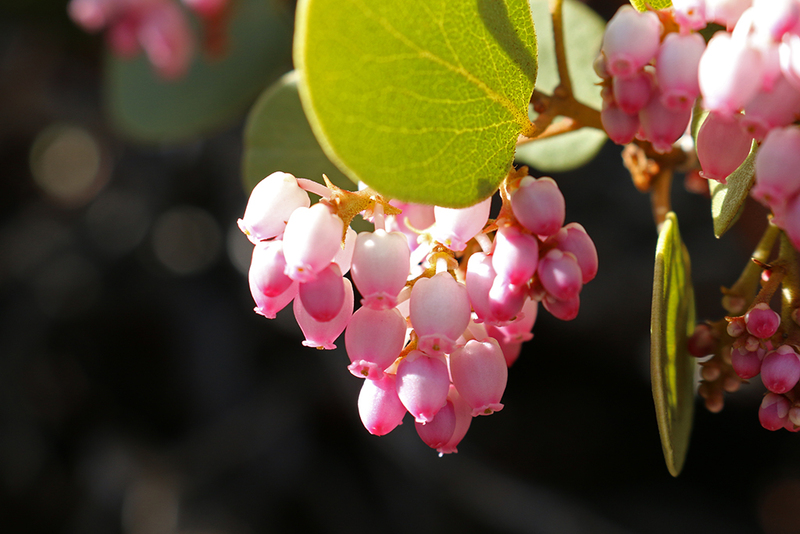 While the desert bloom was particularly amazing this year, it was also particularly early. I did manage a passing glimpse, but mostly I missed it. Alas, I won’t be hunting wildflowers. I’d love to pack myself a healthy picnic and head outdoors with the dogs, but the winds have been blowing, I have deadlines to meet and somewhere under the house, a pipe has just sprung a leak. Well, I figure I have two choices in this situation. I can moan and groan about what I have not. Or, I can make peace with the state of things and be grateful for what I got. And I am grateful to have at least been able to sneak in a little weekend adventure with that favorite explorer of mine. Our beloved Sierra Nevada is sadly devoid of snow this year. 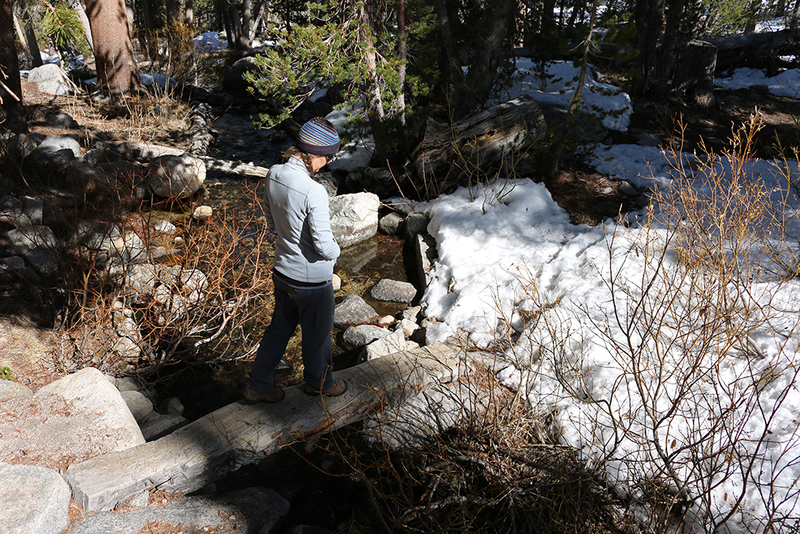 The temperatures have been so warm and with so little snow on the trails we decided to try sneaking in an early-season backpacking trip along one of our favorite trails. 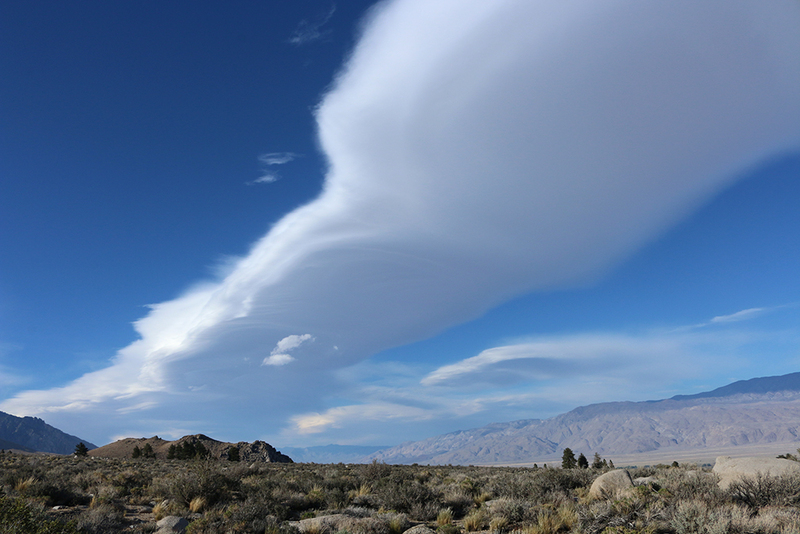 From home, we headed north on highway 395 to Independence, then drove on up that long winding road to Onion Valley. 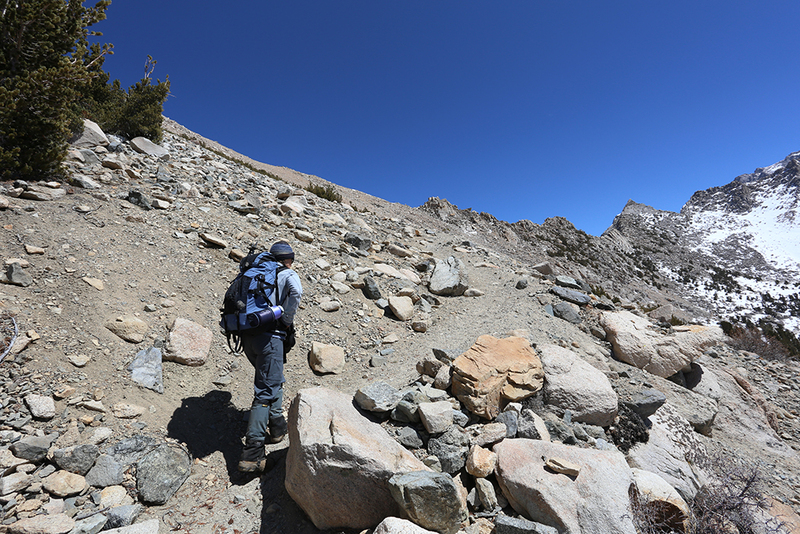 From the parking lot, we hit the trail heading up toward Kearsarge Pass. We figured we would camp at one of the little lakes along the way, maybe Gilbert or Flower Lake. It was quiet and peaceful hiking along to the hum of nature’s busy workers. There was no snow down low and signs of spring were beginning to appear here and there. 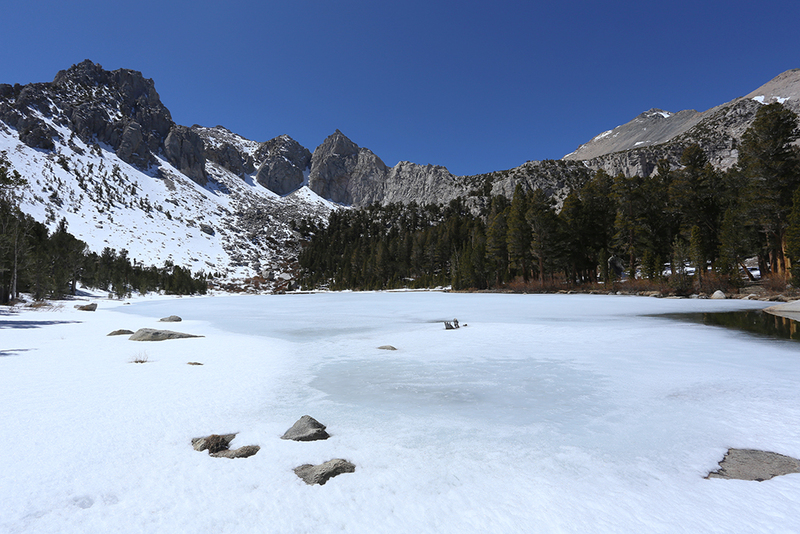 As we got closer to Gilbert Lake we encountered a little bit of snow, but not enough to get in our way. 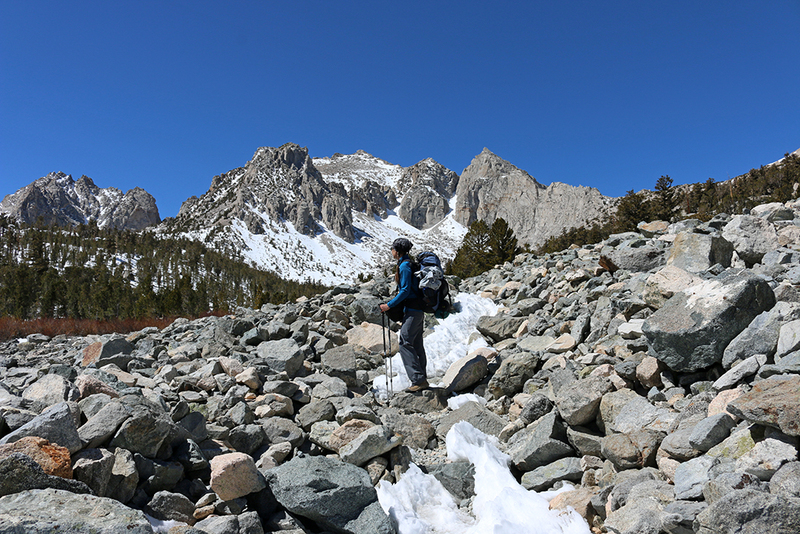 We continued on just a little beyond Gilbert Lake to Flower Lake, where we decided to camp for the night and day hike on up and over the pass the following day. Now, we had checked the weather beforehand and were well-aware that it was probably going to be cold. And windy. Unfortunate timing, this temperature drop, after all the warm weather we’ve been having lately. We decided to brave it anyway. It was an adventure, after all. 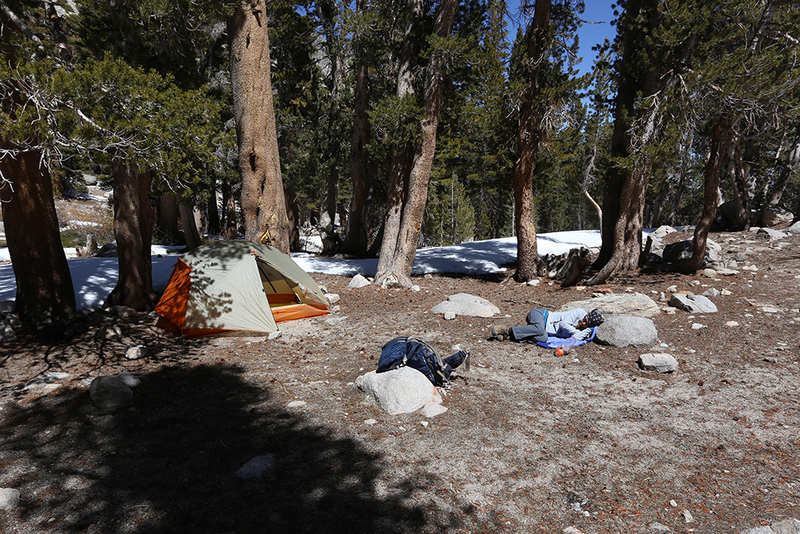 It was a little chilly and a bit breezy as we set up camp, but nothing to mumble and grumble about. 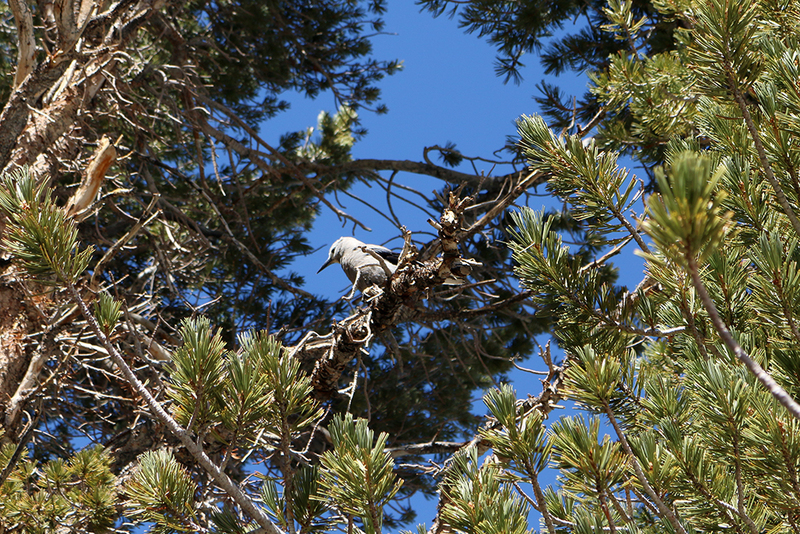 We were both just grateful to be outdoors, enjoying the sunshine and the particularly early start to our Sierra Season. I was personally quite grateful to be granted a little time for puttering about in nature (I do so love to putter!). We set about establishing camp, but I paused for a little nap, so my hubby wandered around the lake to explore and snap a few photos. It was a leisurely afternoon. We walked a little, talked a bit and had some fun goofing around. We just sat still for a time, watching the birds and the squirrels, quietly eavesdropping as they chittered and chattered in conversation. It was a delightful afternoon. Until the sun went down. And the temperature did, too. Quickly. We managed to find a small spot of sunlight at the lake’s edge that provided just enough warmth in which to assemble and devour our one-pot backcountry dinner concoction in relative comfort. 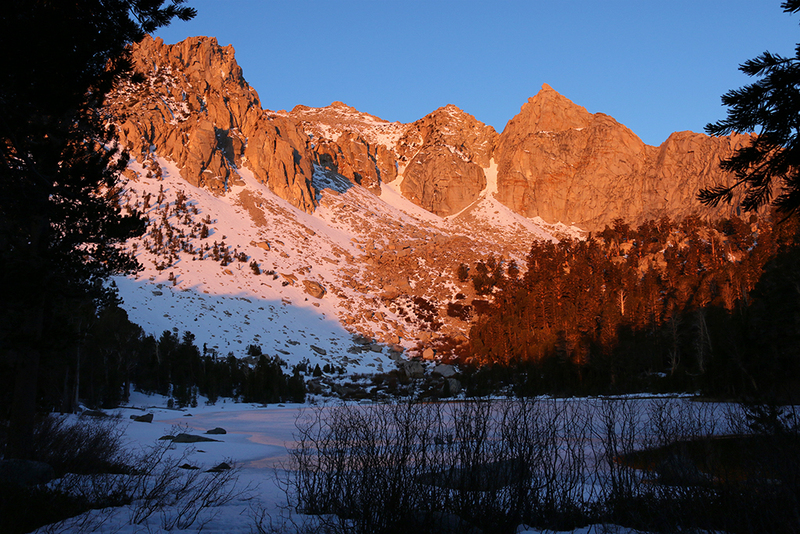 It is a beautiful moment to experience, that last fading light on the lake, as the sun sinks behind a granite peak. But as soon as the moment is gone, you best high-tail it to the tent! It’s amazing how the smallest, most mundane backpacking tasks become a major pain-in-the-you-know-what when the temperature drops below freezing. Cleaning the cookware, hanging the food bag, changing your clothes and brushing your teeth. Even a simple trip to the backcountry loo suddenly becomes a most unwelcome chore. We scurried about, finished the chores as quickly as possible and hunkered down for a somewhat sleepless, but peaceful night. When morning finally came, I awoke to find the tent enveloped in that rosy radiance of alpenglow. Those few moments of early morning glow, lighting up those majestic granite walls, created an illusion of warmth that lured me out of my cozy down cocoon. 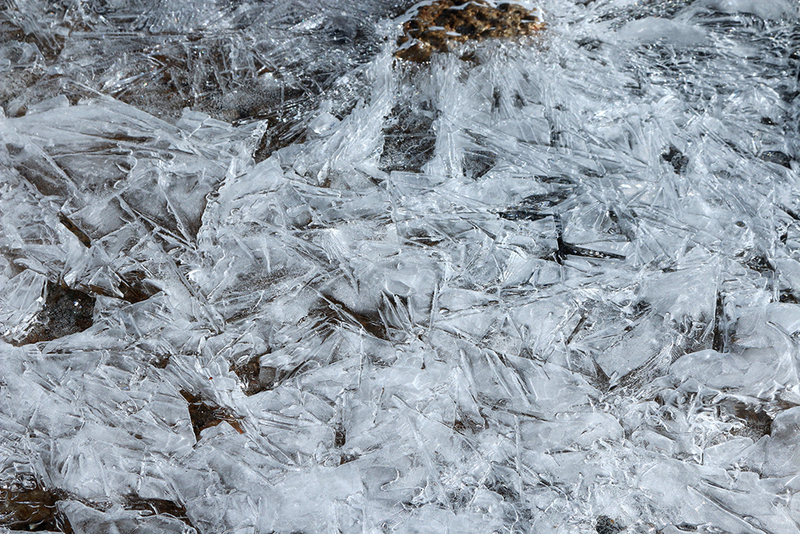 I donned every last layer of clothing, grabbed the camera and ventured out into that cold alpine air. BRRRRRR! No thank you. Back to the tent! Pronto. 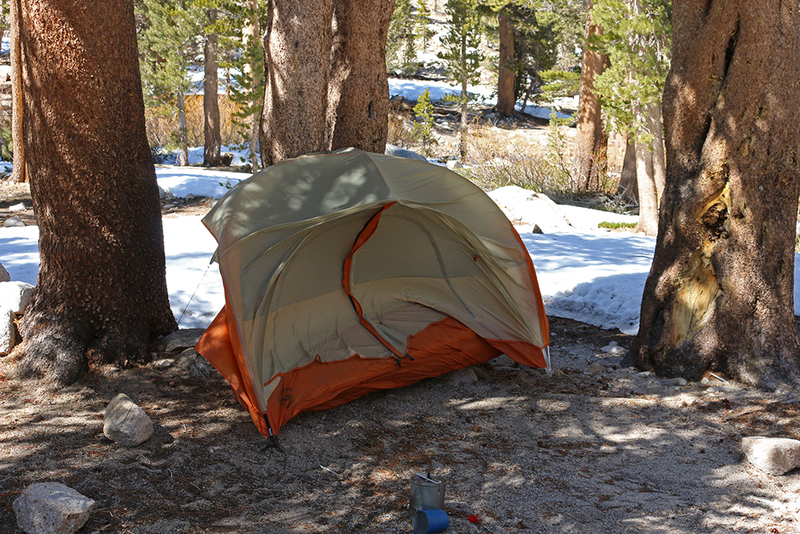 For me, the worst part of cold-weather camping is that dreaded morning start. Unable to make yourself unzip the sleeping bag for fear that tiny bit of blessed heat will escape. Desperately needing to pee, but incapacitated by the very thought of baring yourself to the numbing cold. Longing for the warmth of a nice, hot cup of coffee, but frozen fingers unable to operate the stove. And then there’s the food debate: Who’s going to fetch the food bag? I’ll let you get it this time. Um, no. How about you get it. Sorry, I’m short, can’t reach it…you’re tall, you can. Sorry, buddy. Ah, man…. Eventually, we managed to get ourselves up and moving and on the trail. 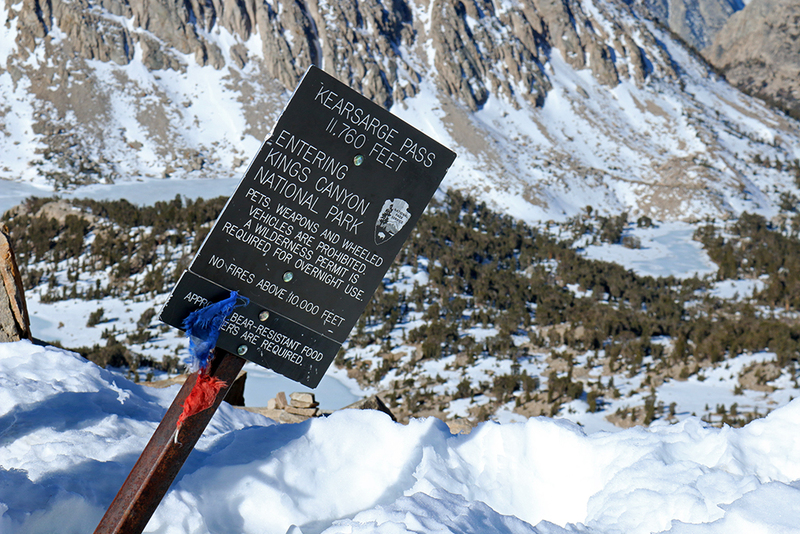 We were headed up to Kearsarge Pass, where we have been many, many times before. But we had never actually ventured over the west side of the pass and that was the goal for the day. 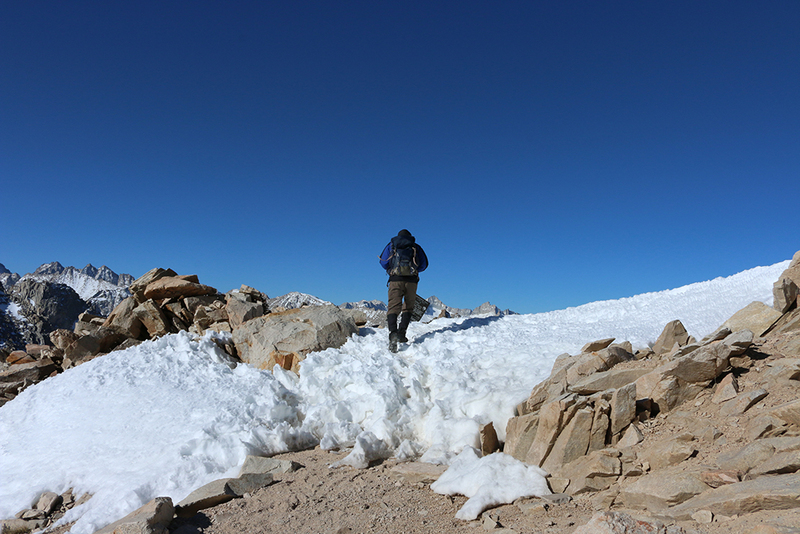 It was freezing at the pass and WINDY, but once on the other side it became pleasant enough weather for hiking. It was cold, to be sure, but the sun was shining, we were moving and it was a beautiful venture into new territory. 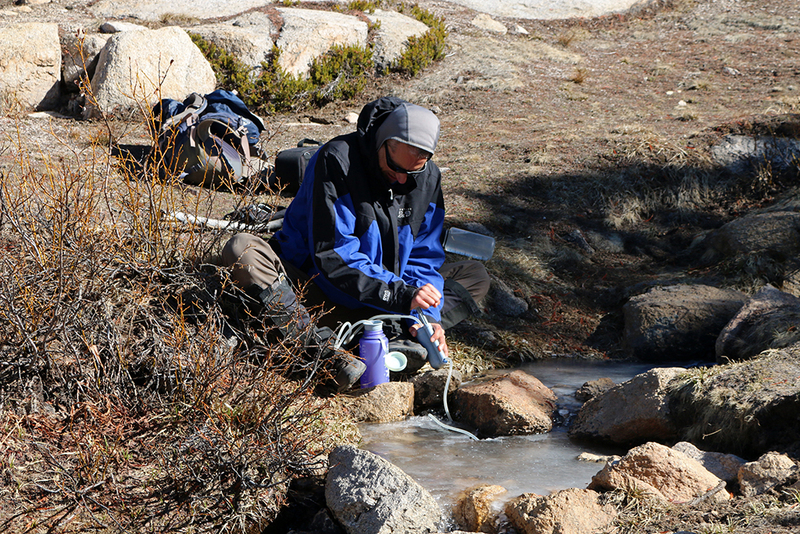 We wandered along the trail that heads toward Bullfrog Lake, stopping to filter some very cold water before heading up the steep slope to Mount Rixford. Evan was anxious to reach the summit of Mt. Rixford and experience an all new Sierra View. He was climbing much stronger and faster than I, so I finally cut him loose. 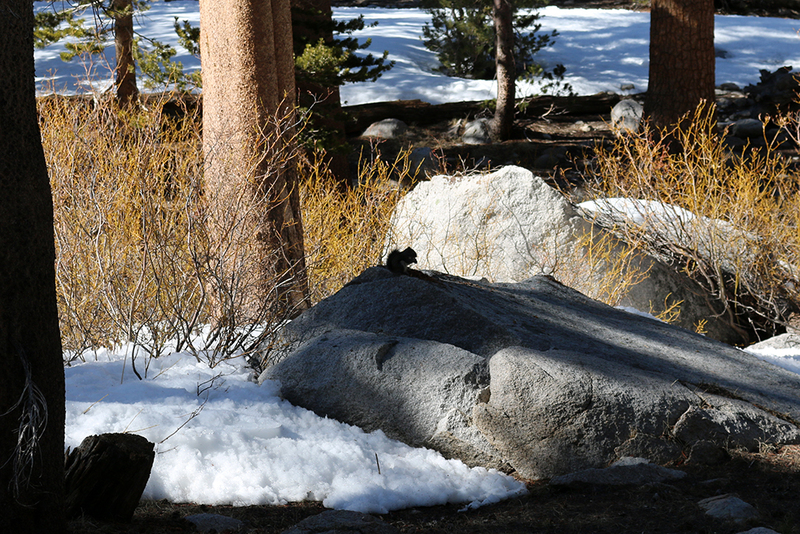 I found a little rocky nook with a beautiful view and hunkered down to wait it out while he climbed on to the summit. And while I waited, I discovered something. Sitting on a steep mountain slope, gazing out into a vast sea of snow and granite, totally exposed to the alpine elements with only my backpack propped on a rock to block the sudden gusts of freezing wind…it is a sure way to slow down Time. To a near stop. It seemed an eternity, sitting there alone in the cold awaiting E’s return. But it wasn’t such a bad thing. With each year of age, I swear Time moves exponentially faster. It’s a constant struggle, trying to keep up, slow it down, fearful of wasting even a single moment. Sitting there, a tiny speck in the vastness of nature, I enjoyed a frozen moment in time and it was a welcome little reprieve from the accelerating pace of Life. And I think I needed that. Later, as we were hiking back, Evan asked what did you do while you waited? Nothing. I just sat there. He seemed puzzled. You just sat there? Yes, I just sat there. Well, what were you thinking about? I don’t really know. Looking out at the view, I just sat in utter stillness for fear of dislodging the hands of Time from their frozen position, causing them to resume that ever-steady rhythm, tick-tock, tick-tock. It seemed like forever and I kind of enjoyed it. And Evan enjoyed his view. 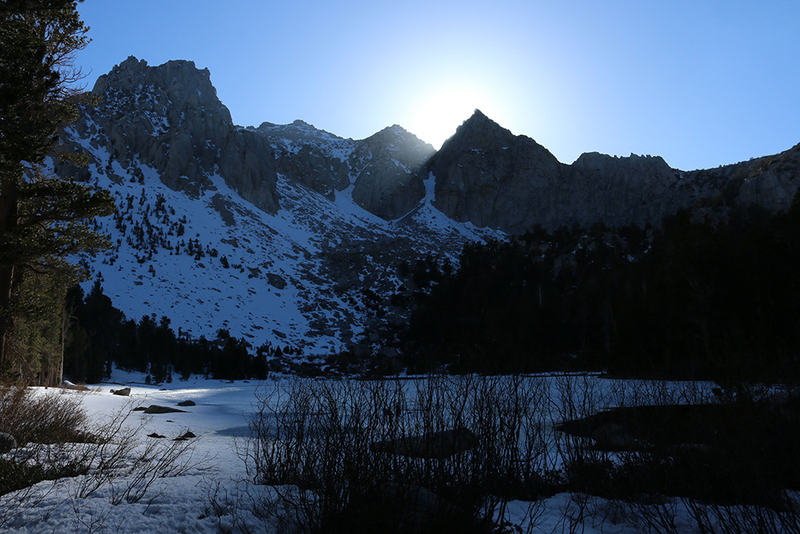 With 360 degrees of beautiful Sierra wilderness in your sightline, how could you not? Despite my brief encounter with Eternity, Time had not actually stopped and the day was quickly moving on. So, we bustled it back up over the pass and down into camp where we found our poor little tent engaged in a wrestling match with the wind. And it was starting to get colder. We had tentatively planned a two-night stay, but the wind and the cold convinced us to quickly pack it up and head home. 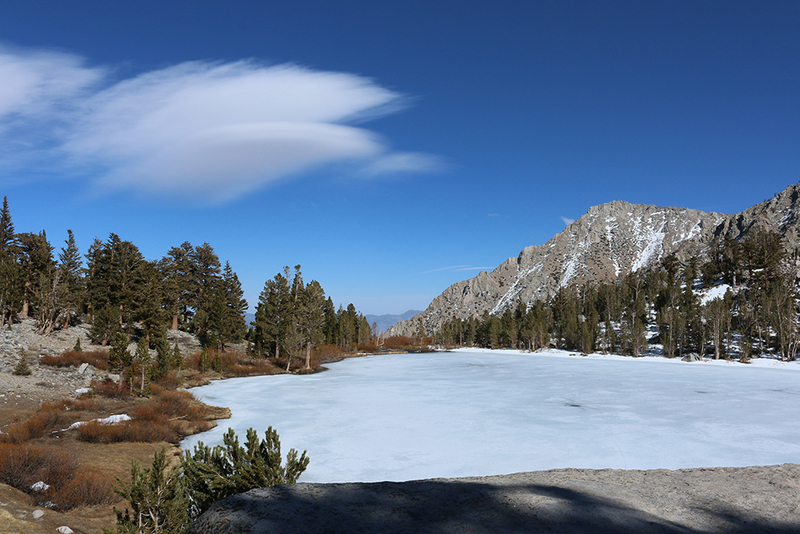 It was a beautiful day and though we enjoyed the clouds and the scenery, it was a mighty chilly hike down the trail. Evan kept saying it was “invigorating”. I insisted it was simply cold. It certainly did not feel like spring at all, but I enjoyed my little reprieve and the space to breathe before Time once again gets the best of me. So, here I sit. Spending my much anticipated Spring Break waiting for the plumber and whatever chaos will ensue, fretting the paperwork and taxes due, wondering how to squeeze in the task of reassembling my completely dismantled classroom before the kiddos return to school on Monday…and I can honestly say that I am grateful. 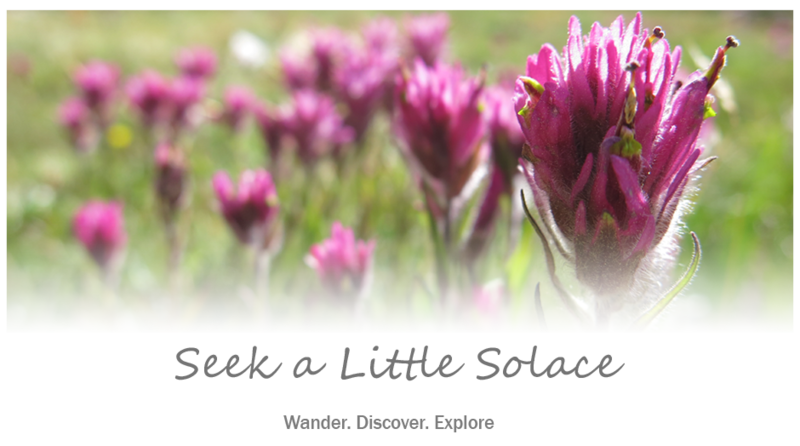 Grateful for my small reprieve, grateful for my adventuring, grateful for the opportunity to revisit, enjoy and express it.